Pilates is an extremely effective exercise method. Pilates has been proven by its continued popularity and growth worldwide over the past 80 or so years, and also by the number of Pilates offshoots now available. Most folks associate Pilates with stretching and core work, but there is so much more to know! I have been teaching Pilates for nearly 30 years, and I still find the method and the history fascinating. There Was A Man Named Joseph Pilates. Joseph Pilates was born in Germany in the late 19th century, and after a sickly childhood dealing with rickets and asthma, he built himself back up using Greek and Roman exercises and techniques that he found in books. He watched animals, watched people, and broke down how he could perform at his functional best. Pilates was interned as an enemy alien by the British during the first world war and spent a number of years imprisoned on the Isle of Man, it was there that he developed some regular exercise programs, strength, and calisthenic exercises to keep the other men and himself sane and physically fit. After the war, he continued to develop exercises and the apparatus. When he moved to New York City in the 1920s, he continued to expand his method, which he called Contrology. A Pilates Apparatus Uses Springs for Resistance. 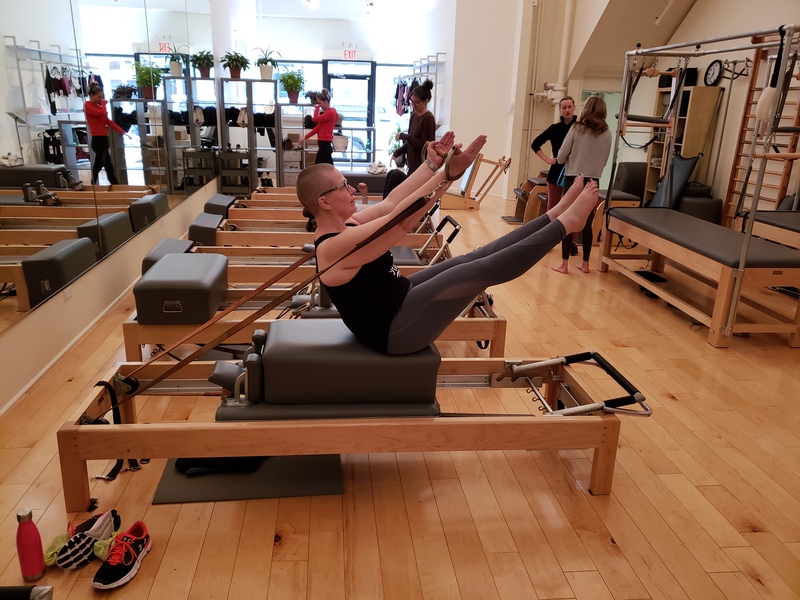 Most people are familiar with the Pilates mat exercises, but there is a slew of fun apparatus in any real Pilates studio. I have also seen just about anything being sold as a “Pilates” apparatus, including things that just weren’t even in common use when Joseph Pilates was inventing the apparatus. That’s right, those Pilates balls, bands, weights, foam rollers, and other stuff you have been using are NOT actual Pilates apparatus. 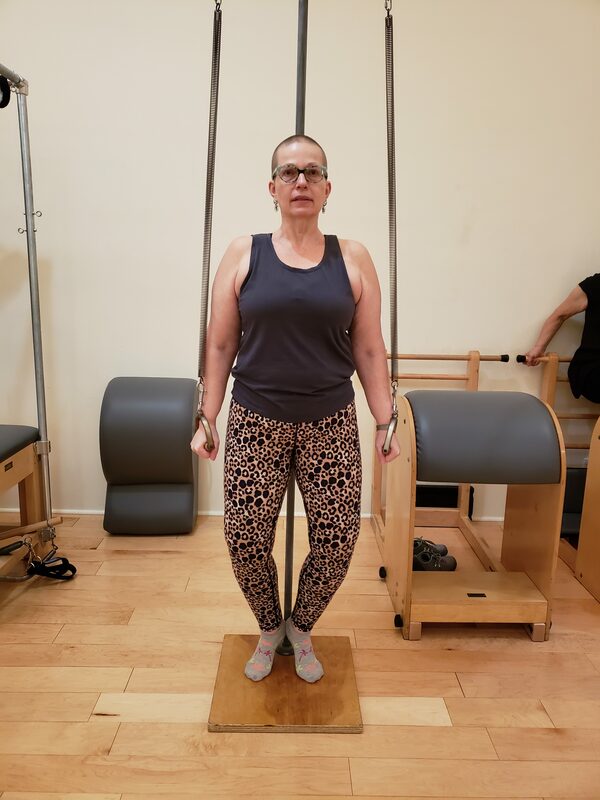 Pilates uses dumbbells for some things, as well as weighted bars, but the big Pilates players involve springs, Universal Reformers, Cadillacs (which offer many attachments for springs, among other things), Chairs, Magic Circles, and Ped-o-puls. And all use wood, metal, and, most importantly, springs. Joseph Pilates believed that springs provide smooth resistance that requires control and mimics how our muscles and our spines move, and he used them everywhere! We even have small spring-based apparatus like the toe corrector, foot corrector, and head harness. Pilates is A System of Specific Exercises. I cringe whenever I hear the word Pilates used as an adjective for any exercise, such as “Pilates plank.” While we do have some plank-like positions in Pilates, such as the leg pull front, push up, and a long stretch, none of them are called a plank. Pilates Has its Own Language. We use specific words and phrases in the Pilates studio to convey what where we want someone to focus and how we want a client to work. We use words like “scoop” for the feeling of pulling in your lowest abdominals to support your spine, “powerhouse” to describe the muscles that work together to support the torso (abs, back, glutes), and “Pilates stance” or “Pilates V” to describe a slight external rotation of the legs. He worked on spine flexibility, on balance, on postural strength, and used big, heavy springs to challenge the arms and legs. In Pilates, we do pull-ups and push-ups, Russian squats, lunges, and interesting work with the magic circle (a heavy circle of steel bands). We work in all relationships to gravity and resistance, on stability as much as flexibility, and we try to do it all with a smile and a minimum of grunting. I encourage you to try some actual Pilates sessions or classes and see what has kept this method alive for so many years to come. Look for a studio that has qualified teachers and all (or most) of the apparatus. 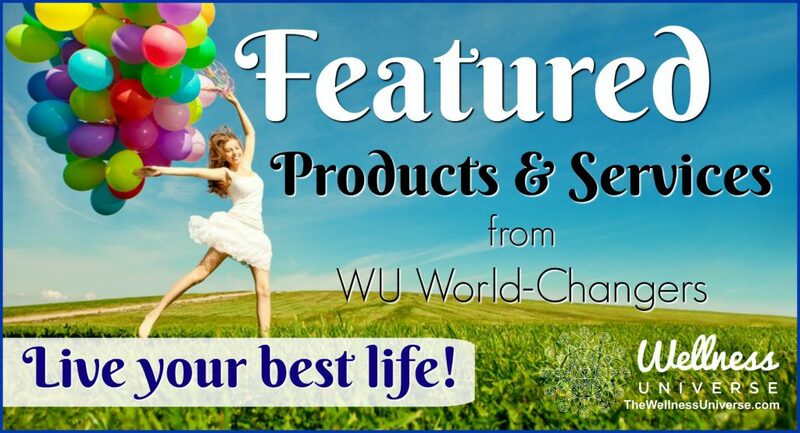 I can promise you that you will get stronger, feel better, and have some fun!